Following a ketogenic diet plan is useful for improving insulin tolerance and reducing inflammation. These factors consequently reduce the risk of chronic disease and stimulate muscle development and fat metabolism. While a ketogenic diet is proving to have numerous health applications, many individuals are using ketosis to heal their bodies. The benefits of this can be attained through either a strict ketogenic approach or a cyclic ketogenic diet. Following a cyclic ketogenic diet where the body goes in and out of a state of ketosis is useful to inhibit inflammation while also balancing hormones. A cyclic ketogenic diet means that you can go low-carb for three days proceeded with a day of a slightly higher carbohydrate intake, and then again followed by three days of low carbs. There are several useful strategies to help you maintain a state of ketosis. 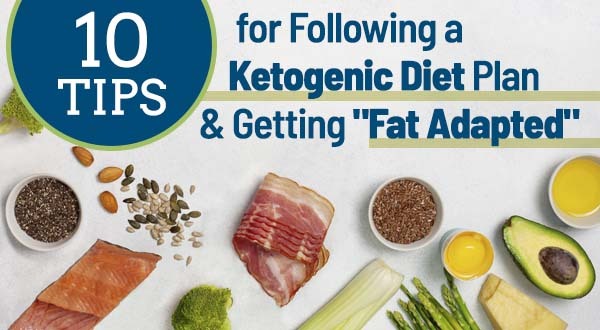 These 10 steps will assist you in following this ketogenic nutrition plan to get into and maintain fat adaption. Participating in high intensity exercise regularly helps to stimulate the glucose transport molecule found in the liver and muscle tissue known as the GLUT-4 receptor. This receptor is responsible for removing sugar from the blood stream and storing it in the liver and muscles as glycogen. Performing regular exercise doubles the concentration of this protein in the liver and muscles. This metabolic adaptation is critical for maintaining ketosis as it supports the individual’s ability to tolerate slightly more carbohydrates. This is because the body will in turn store them in tissue. Speak with your doctor to see if your body is ready to participate in large compound exercises such as such as deadlifts, squats, push-ups, pull-ups, pull-downs, bent over rows, and standing overhead presses. Incorporating low-intensity exercise such as walking or swimming will help you maintain ketosis by balancing blood sugar levels. Be cautious to avoid overworking your body beyond its limits which will increase your blood sugar levels and inhibit ketosis. 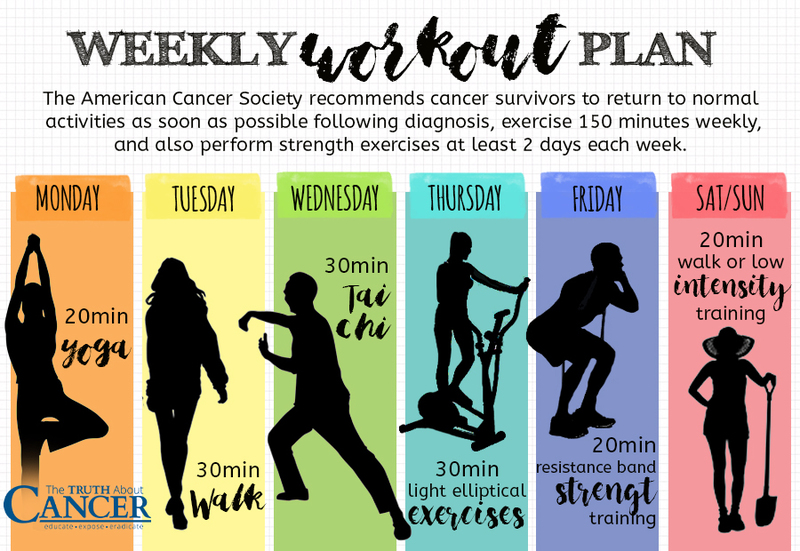 Depending on your state of treatment, participating in exercises including stretching, breathing, and even aerobic exercise can help you reduce fatigue and avoid muscle atrophy. Sample Exercise Program: Exercise 150 minutes weekly, and also perform strength exercises at least 2 days each week. Improve your gut motility by consuming fermented foods such as kimchi, coconut water, kefir, and sauerkraut which are rich in probiotics. Juicing your own fresh green drink daily can help you improve any electrolyte imbalance you may be having. Taking a magnesium supplementation with plenty of purified water daily can also help. You’ve likely heard that it is crucial for your health to limit your sodium intake as many individuals struggle with a high sodium and low potassium ratio. This is a result of our society’s reliance on a high carbohydrate diet which elevates insulin levels. Insulin causes your kidneys to retain sodium leading to a higher sodium/potassium ratio. The ketogenic diet plan supports the kidneys by adjusting to lower insulin levels and excreting more sodium. As a result, this can create a higher need for sodium in your diet by creating a situation of low sodium/potassium ratio. Our days get busy and we often forget to hydrate properly. The digestive system is most easily flushed out during the morning. Drinking purified water within the first hour of waking up followed by another 32 to 48 oz (approx 1-1.5 litres) of water before noon is an excellent regimen to practice good hydration. This is usually tolerated well in combination with smoothies, green or herbal teas, or a ketogenic-style coffee (see the bullet about coffee in step #5 below). Consider a “building phase” which is the time between your first meal and your last meal to account for 8 to 12 hours. Begin with a 12 to 16 hour “cleansing phase” that is the time between your last meal and your first meal. Throughout time the body will adapt and you may be able to narrow your building (eating) window to between 4 and 6 hours and have a cleansing (fasting) period of 18 to 20 hours for a better achieved state of ketosis. Be cautious to avoid over consuming protein as excess protein will activate a process called gluconeogenesis. This biochemical process turns amino acids into glucose. Some individuals require lower protein levels while others have a higher protein need. Monitor how your body responds to the proteins in your meals if you notice you are coming out of ketosis. Protein need is dependent on key factors. An individual who participates in intense resistance training to gain muscle will require more protein than the same sized individual who does aerobic or resistance training to lose weight. Similarly, an equal sized person who only walks for exercise will require less protein than the previous two. Aim for one gram per kg of body weight for starters. Divide your body weight by 2.2 to determine the grams of protein per kg of body weight. Consume this amount of protein on your lighter workout days. Increase the protein to 1.5 grams per kg if you are strength training or attempting to gain muscle. Sample Protein Estimate 1: Individual weighs 150 lbs and does not exercise other than walking. This person requires 68 grams of protein daily. He or she should consume either 2 meals containing 30-35 grams of protein or 3 meals containing 20-25 grams per meal. Sample Protein Estimate 2: Individual weighs 150 lbs and participates in resistance and aerobic training 3 to 4 days each week and does not want to gain weight. This person requires 68 grams of protein on non-training days and 75-80 grams on training days. He or she should consume approximately 25-30 grams of protein at each meal. Although this is a low-carb diet plan, choosing your carbohydrates wisely is beneficial when you cycle out of ketosis. Consume nutrient rich carbohydrate sources such as non-starchy veggies and small amounts of low-glycemic fruits like lemon, lime, half a granny smith apple in a green shake, and/or a small handful of berries in a protein shake. On the one or two days of the week that you cycle out of ketosis, up your carbs by consuming these nutrient dense carbs and also sweet potato with a generous portion of grass-fed butter and a sprinkle of cinnamon. On low carb days, avoid sweet potato and eat no more than a small handful of berries. Consume a maximum of 1 carrot, 1 beet, or ½ granny smith apple in your shakes on low carb days. Limiting your low carb days to 1 serving or less of fruit aside from lemons and limes and no starchy vegetables will keep net carbs to about 40 grams (not counting fiber). Higher carb days you should aim for 2-3 servings of antioxidant rich low-glycemic fruit and no more than 2 servings of starchy veggies like pumpkin, carrot, beet, or sweet potato allowing up to 100 grams of net carbs. Dealing with chronic stress removes your body from ketosis. Stress hormones elevate blood sugar keeping your body alert to defend itself against the chronic stressor. For short periods of time, this response is natural but when it is prolonged, blood sugar raises and ketones reduce. Under stressful circumstances in life, you may decide that maintaining ketosis is not the best lifestyle choice at that time. Rather than focusing on following a strict ketogenic diet plan, simply change your goals to consider a low carb and anti-inflammatory diet overall. Develop natural stress-relaxation techniques to reduce your body’s stress response and create peace and relaxation in your life. Poor sleep habits will also elevate stress hormones and consequently increase blood sugar and cause physiological problems. Focus on getting to sleep before 11pm. and catching those zzz’s in a pitch dark room. Aim to sleep 7 to 9 hours each night depending on your stress levels and the optimal timeframe that enables you to feel most alert the next day. More stress means that your body will require more sleep. Maintaining a cool room temperature between 60 and 65 degrees (approx 16-18 Celcius) is ideal, with a fan to circulate air. You may wish to wear a sleep mask to block out disrupting light that inhibits melatonin production. Ear plugs can also be helpful if you are sensitive to sound and plan to sleep in a louder area than usual. Consuming a high quality MCT (medium chain triglyceride) oil is one of the most important key habits you can develop to maintain ketosis. MCT oil allows one to consume more protein and carbs while maintaining a ketogenic state. A diet primarily containing long chain fatty acids depends on 80 to 90% of calories from fat. MCT oil consumption reduces this calorie load to 60-70% fats. Unlike other fats, MCTs are quickly broken down into ketone bodies and utilized for quick energy in the body. Contrary to popular belief, coconut oil is not the same thing as MCT oil. MCT oil is extracted from coconut oil but consists of 100% pure capric and caprylic acids (medium chain triglycerides). Coconut oil contains 35% long chain triglycerides (LCT), and 50% lauric acid which although categorized as a MCT acts like an LCT. The remaining 15% is MCT which makes up only 1/6th the ketogenic need of MCT compared to pure MCT oil. Consider cooking with MCT oil, adding it to hot beverages like coffee or tea, stirring it into protein shakes, smoothies, and more to keep your ketones elevated. 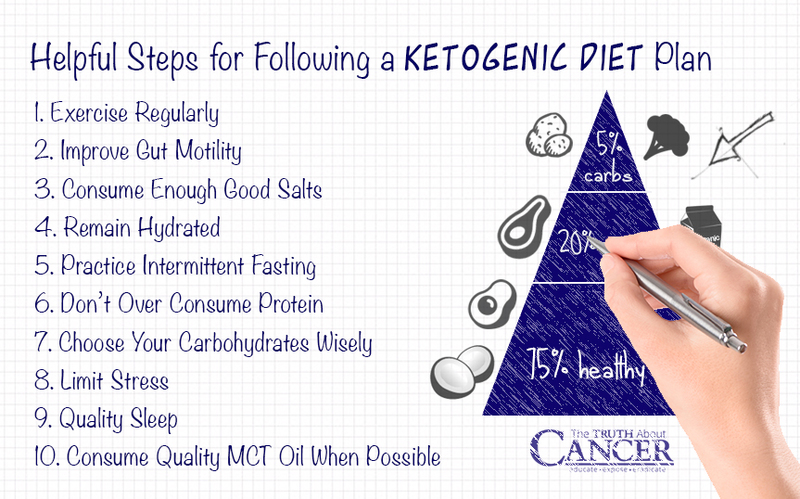 Maintaining a ketogenic lifestyle is based on many variables of living a healthy lifestyle. Creating lifestyle habits and activities beneficial to supporting a state of fat adaption will help you sustain energy and provide mental clarity. 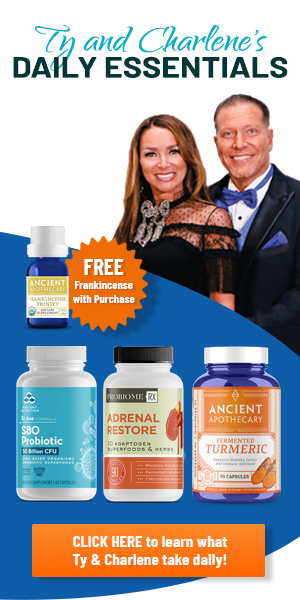 This is certainly better than living in a condition of burning sugars for fuel which usually leaves one feeling fatigued, craving carbohydrates, and experiencing brain fog. By understanding how your body tolerates stress and following the strategies above you will give yourself a significant advantage to living a healthier life. Learning what factors help you maintain a state of ketosis and which factors take you out of ketosis will help you improve your quality of life. With so much information (and MIS-information) floating around out there, it’s hard to get a clear picture of what the ketogenic diet actually is. Discover the ultimate keto plan here. The ketogenic diet is a low carb, high fat, and moderate protein-based nutrition plan which allows the liver to produce “ketones” to be used to fuel metabolism. A ketogenic diet is proving to have numerous health applications including healing inflammation and other diseases. Insulin increases sodium reabsorption in diluting segment in humans: evidence for indirect mediation through hypokalemia. The effect of insulin on renal handling of sodium, potassium, calcium, and phosphate in man. Exercise induces rapid increases in GLUT4 expression, glucose transport capacity, and insulin-stimulated glycogen storage in muscle. Exercise, GLUT4, and skeletal muscle glucose uptake. Medium-chain triglyceride ketogenic diet, an effective treatment for drug-resistant epilepsy and a comparison with other ketogenic diets. I didn’t see milk anywhere in this article and I personally am on this diet and milk is a no no. As far as the meat is concerned, It’s very small amounts and organic and if you are like me keeping the weight on is an issue without it. I have zero plans of ever following a ketogenic diet and I don’t think anyone should. I am a follower of the likes of Doctors Michael Greger and John McDougall and Neal Barnard and others who recommend a whole foods plant based diet. Ty, The Truth About Cancer Ultimate Live Symposium included a segment by Ocean Robbins. Please ask him what he thinks of the ketogenic diet. A ketogenic diet is worth trying. I would not mind doing the green juices once, except that I do not have a juicer. Exercising regularly everyday is good for one’s health, because when one exercises, it helps one keep their mind off bad things. Excellent summary of the ketogenic lifestyle. I’ve been eating this way for 2 years and have never been healthier. I’ve lost 60 pounds and a couple of allergies along the way. I’m always entertained by the anti-keto crowd, most of whom never tried it or understand the science behind it. Its usually militant vegetarians with a strong bias against meat because other than that it is a “whole foods plant based” diet. I eat tons of veggies, but I also enjoy bacon and “bullet-proof” coffee..two things that make following a diet easy. Cutting grains and sugar out of my diet were the key for me. I’m glad to see this way of life coming into the mainstream. I have to agree with you from initial impressions of eating ketogenic for three months. Depending on how low you keep the junk carbs (not the healthy leafy carbs and other veggies) you can measure week-to-week the fat falling off and the endurance performance increasing. My favorite aspect is the water-fasting sports endurance. I make a point of eating nothing 12-18 hours before a long endurance bike ride. It is always easier fasted (with plenty of water) than if I try to add carbs. Never hungry on long rides when I am strictly on plan and sleeping is interesting because when the sun goes down and I close my eyes, then my legs and arms get really heavy and I sleep like a log. I am off plan for the holidays and will return after New Years. Another thing, I have watched as my cycling buddies have sprouted larger and larger “insulin pot bellys”. They ride long miles and burn 2000-3000 Kcal in a ride but continue to store fat because they maintain the high insulin levels from the carbs they think they need. There are others who I think are stealth ketogenic riders and do not want to give up their secret to endurance and power. When my 22-year old son was diagnosed with Grade III anaplastic ganglioglioma in April 2013 (the tumor was bigger than a baked potato), he had a second craniotomy just three weeks after the first, taking out most of his right temporal lobe. They said no radiation or chemo for this one, it’s rare and aggressive, you’re going to die. When you hear sh*t like that, you jam and cram. At the beginning of June, with the help of a professional dietitian, I put him on the Restricted Ketogenic Diet. It was hard at first, but I did it with him (I was the only one), weighing everything to the tenth of a gram. By the end of December, just seven months later, we had lost a total of 160 pounds (he went from 270 down to 155 and I went from 165 down to 120), with no extra exercise, no pain, no cravings. I went from a size 16 jeans, to 14, 12, 10, then 8, and I’ve been in the 8’s ever since. I haven’t had more than 10-20 grams carbs in a day since June 2013, 42 months. We lost 160 pounds of fat, eating 80% healthy fats. In May 2014 the community raised money for a trip to Old Europe (on his bucket list) and he didn’t eat any carbs in Spain, France, or Italy for three weeks. He knew what he could eat and how much. He was trying to starve the bastards in his brain, and he did a pretty damn good job of it, outlasting their predictions. We were trying to kick the can down the road, hoping for a cure to magically appear around the corner. When the tumor grew back in February of 2015, he had a third craniotomy, and it had morphed to Grade IV glioblastoma multiforme – GBM, a killer. But he still didn’t give up. He told me, “Mama, even if I didn’t have brain cancer, I wouldn’t give this diet up.” It helped stifle the typical brain tumor seizures, they couldn’t even evoke one . . . hey, the Ketogenic Diet is for pediatric epilepsy! He was the bravest person I know, fighting and researching every inch of the way, but when the little bad guys started infiltrating his right frontal lobe, like buck shot, he was even braver, accepting and knowing when to give up. He died in my arms at home in the middle of the night, September 11, 2015, just three weeks shy of his 25th birthday. The Ketogenic Diet didn’t save his life, but it saved him. It gave him his self-esteem, he found himself, he learned self-discipline and moderation, and he was a walking talking example of “you are what you eat.” Second to his affirmation of Peace, was the damnation of the Standard American Diet. He firmly believed that instead of spending billions finding a cure for cancer, so much of this devastation could be preventable. Big Pharma, the Standard of Care, and the Standard American Diet make money; why would they want to find a cure? They’re selling cancer, it’s cancer for sale. America is leading her children to slaughter. But I promised my son, lessons learned will be lessons shared. A person might not need this diet to save his/her life, but most certainly, it can be implemented and utilized to save your quality of life. I didn’t cheat on him while he was alive, and I won’t cheat on him now. Please forgive my typos, I’m crying too hard right now. I lost my Baby Turtle too soon, but he tasked me with this, sharing whenever and wherever possible. You have to have a reason, but it’s up to you to figure out that reason. And hopefully, it isn’t because you have Grade IV brain cancer. Simple words fall short, but I wanted to thank you for your love, wisdom and courage in your posting. Blessings, Karen. Karen, my mother heart goes out to you. I can’t even imagine how its been for you. Your son was so blessed to have you as a mom to endure the changes required to help prolong his life. I pray his love and spirit will guide you the remaining years of your life filled with and his joy and courage. Do you feel his presence when you ask him to appear? I can only imagine you must with as close as you were with your son. Hello Ms. Karen. Thank you for your bravery, consummate, and sacrificial love for your son. He was a blessed person. Thank you also for sharing the experience you both had with the ketogenic diet. You have a success story here and that helps me and many others. Please keep sharing your story for future generations. God bless you Karen.We send you all our love! Whew! The tears! You are a brave woman!!! The most effective health diet (proven over 60 years) to cure yes, cure! Cancer in 92% of terminal I’ll patients send home to die is the Johanna Budwig diet. Easy to follow and very effective!! 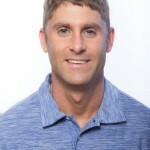 Jonathan Landsman of Natural Heath 365 did an interview with Dr Nicholas Gonzales who said that the ketogenic diet did not cure cancer.